Savannas, forests and forest edges, clearings, old fields, roadsides; usually on dry uplands, occasional in marshy or swampy ground. 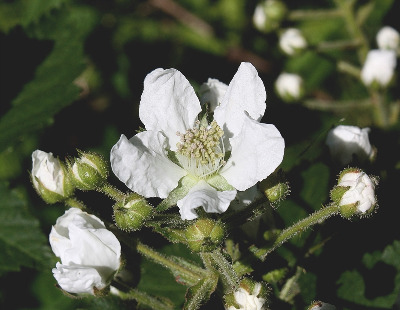 This complex includes the common, familiar tall blackberries with rather densely stalked-glandular inflorescences, which when well developed appear to be elongate racemes. Depauperate plants may occur in shade or other unfavorable conditions but can often be recognized by the numerous glands and soft-pubescent undersides of the leaflets. MICHIGAN FLORA ONLINE. A. A. Reznicek, E. G. Voss, & B. S. Walters. February 2011. University of Michigan. Web. 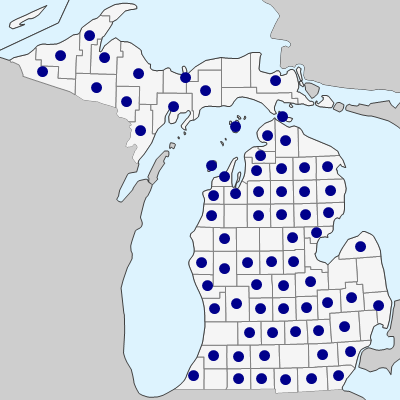 April 19, 2019. https://michiganflora.net/species.aspx?id=2552.